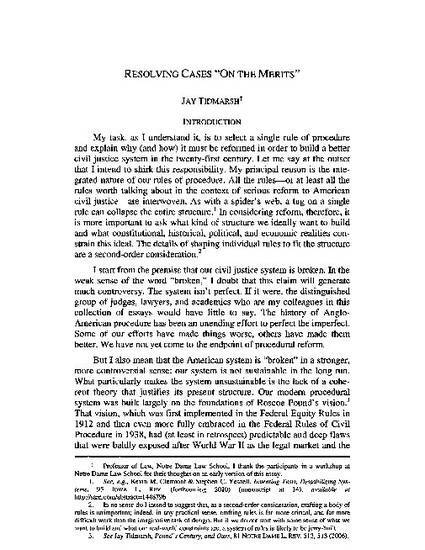 Prepared for a Symposium on Civil Justice Reform, this essay examines the role of the “on the merits” principle in modern American procedure. After surveying the possible meanings of the phrase, the essay critiques its most common understanding due to its economic inefficiency and its lack of strong philosophical support. Relying on the recent work of Amartya Sen, the essay proposes that the principle be replaced with a “fair outcome” principle that melds both “procedural” and “substantive” concerns. Reprinted with permission of Denver University Law Review.